The Iron Duke is our interpretation of the hot-rodded British tone, with MI Amplification’s unmistakable marriage of flexibility and simplicity in one package. The class A/B power amplifier is built around a pair of EL34s, and delivers 50W of clean output power, with a switchable low power mode limiting the Iron Duke’s output power to 25W. 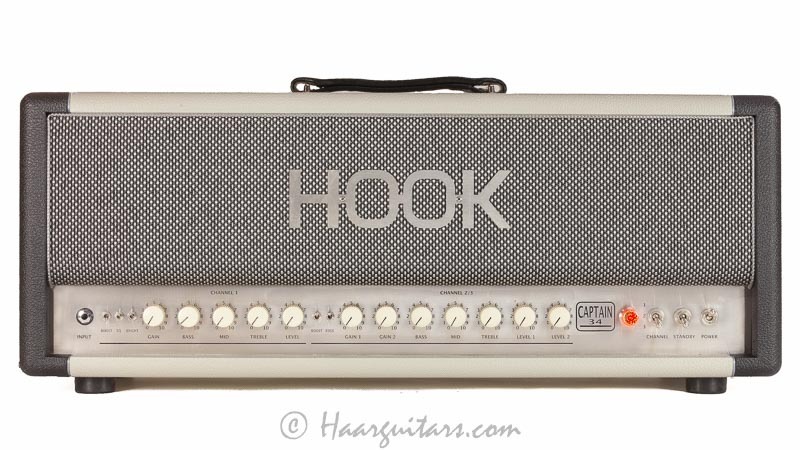 This range of output power is perfect for hitting the Iron Duke’s sweet-spot in a typical gigging scenario. The ‘4 channel’ preamp (in fact, 2 independent channels with a foot-switchable gain boost) can produce the whole suite of British inspired tones, from clean to scream. But unlike the standard British designs (and their various derivates), the Iron Duke can be tuned to work with virtually any guitar and pickup, thanks to its bright and attack switches. Added to this already amazingly flexible design, each of the 4 “channels” can be further hot-rodded with the independent ‘mod’ switches, for a total of 8 different preamp voicings. Finally, we’ve included a series insert FX loop, and our unique negative feedback controls, featuring not only presence and depth controls, but also an industry first 3 position ‘depth frequency’ switch for tuning the active frequencies of the depth control. The Iron Duke is an amplifier we are truly proud of. I must confess that as a ‘design brief’, I thought the Duke was going to be a straight forward affair, but boy was I wrong! You see, there’s a difference between doing something adequately, and doing it well. It took us nearly 18 months to arrive at a design that ticked all the boxes. A modern channel switcher, but with enough depth of character to be used old school… one sound with the drive controlled by the guitar volume. A clean sound which is both beautiful as a standalone clean and as a platform for overdrive pedals. In contrast to the standard interpretation of the British sound, we wanted the Iron Duke to have the ability to work with any guitar without sounding shrill and harsh, yet still retain the British flavour. The ‘standard’ interpretation of the British sound may sound good with particular guitars and pickups (humbuckers), but will often sound thin and shrill with other guitars. This was something we absolutely DIDN’T want. – Global controls for matching the overall character of the amplifier to a particular guitar/speaker and player. We feel very strongly that the Iron Duke has achieved all of these things. Below is a detailed description of each aspect of the amplifier. There are two ways to think of the Iron Duke’s preamp, either as 2 independent channels with a foot-switchable boost, or as 4 ‘channels’, each pair of channels sharing the EQ and gain controls, but with independent volume controls. For the sake of clarity we will use the latter convention. Unboosted Clean: The green ‘channel’ has a feel which is inspired by the class A British amps, as opposed to their bigger brothers. The low end is tight and controlled in order to mimic the feel of a combo clean. The mids are full and the high end is rich and detailed. Add to this the three position bright switch, and you can go from fatter rounded tones, to shimmery cleans. Our power supply design helps keep the cleans ‘forgiving’ regardless of how hard you pick. With the gain set 12 O’clock, humbuckers will break up slightly, and with the gain dimed, you’re in vintage crunch territory. Engaging the ‘mod’ switch for the clean channel will extend the low frequency response of the preamp, and fill out the sound, for more clean density, or as the perfect ‘full range’ platform for pedals. Boosted Clean: The blue ‘channel’ tips its hat to the traditional bright channel of vintage British amps, but with a more rounded top end. Despite the shared EQ, the tone stack in this mode is reconfigured to accentuate a fat midrange. This “channel” is all about vintage crunch. Engaging the mod for the boosted clean (B.Mod) tightens up this channel and introduces extra clipping, creating a formidable rhythm sound with a more modern leaning. Unboosted Overdrive: The orange ‘channel’ is the hidden gem of the Iron Duke. With the gain set to 9 O’clock it will do a beautiful clean which rivals even the green channel. At 12 O’clock, you’re crunching nicely, and with the gain dimed, the tone is fat and creamy. With the attack switch, you can match the top end response of the preamp to your guitar, or add more bite. Due the finely tuned ‘balance’ of this channel, it also cleans up beautifully, making this channel a wonderful candidate for a set-and-forget old school tone. The Mod switch introduces more clipping and tightens up the channel to create a searing modern gain sound. Boosted Overdrive: The red ‘channel’ takes off where the orange left off. The midrange is beefed up, creating a complex swirl of harmonics, and ensuring that despite the gain, this channel remains, rich and organic. Of course, engaging the “B.Mod” switch introduces extra clipping, and tightness, pushing this channel to the edge of ‘metal’ territory. Of special note about this preamp design is its ability to work with pedals, even on the overdrive channel. The careful design preamp design means that the resulting tone is the perfect fusion of the character of your favourite overdrive pedal with the natural clipping of the Iron Duke’s preamp. As mentioned previously, the Iron Duke’s power amplifier utilised a pair of EL34’s operating in class A/B to produce an output power of 50W clean. A design decision was made early on to keep the operating voltage of the EL34’s ‘low’ so that they could be pushed without any problems. This is in stark contrast to the ‘standard’ channel switching philosophy of maximising output power by running the power tubes at very high voltages. The usual thinking is that in a channel switching amp, the distortion will be generated exclusively in the preamp, and the power amp will never be pushed. However with the Iron Duke, we wanted to take an old-school approach so that the power amplifier could regain its rightful place as a legitimate ‘player’ in the tone game, while still maintaining modern flexibility. In fact, we feel the sweet spot for the Iron Duke is at the point where the power amp is starting to clip. This brings us to the second point about the output power. With 50W output power, the Iron Duke will hit that sweet spot in a typical live scenario. 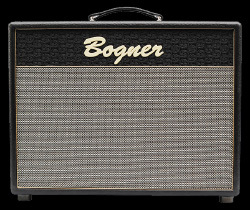 For quieter gigs, the amp can be switched down to low power to hit the same spot, but at a reduced SPL. Does this mean it can’t be used in a quiet ‘practise’ setting? Of course not! The Iron Duke will still sound wonderful at low volumes, but as with any great tube amp, will sound spectacular when things get cooking. Finally, we should make mention of the presence and depth controls. These control the high end and low end response of the power amplifier. However, one feature which the Iron Duke has which is unique is the ability to tune the frequency range of the depth control using the ‘depth range’ switch. The ‘standard’ design for low frequency feedback is to have the depth control affect frequencies around 100Hz and lower. This is a good setting for adding a low end ‘modern’ fullness to the sound. However, for the types of tones we were envisioning, we wanted to the Iron Duke to always retain a full low-mid sound. By setting the depth range switch to 300Hz, the depth control not only reinforces the low frequencies, but also extends up to the main ‘body’ of the guitar sound, ensuring that the tone doesn’t sound ‘woofy’ when the depth is increased. The last setting of 1KHz increases a very wide range of frequencies, adding a wide range of flavours across its sweep. Our PCBs are 2.4mm double sided, through hole, thick plated. We went through a dozen iterations until we found a layout which ensured the perfect tone. the highest grade signal caps (e.g. WIMA and silver mica caps), chosen after a very long process of evaluation. full sized, long life, 24mm potentiometers. Even the wire was carefully chosen! We ended up using a mix of 3 different types of signal wire because of their various effects on tone!